Chargeback rules govern every phase of the chargeback process. Time limits, reasons and reason codes, fines and fees…all of these and more are in the rulebook. While these regulations play an important role in helping merchants challenge chargebacks, they can seem overwhelming in scope. Not only are they complicated, chargeback rules can differ widely from one card scheme to the next. Not only that, but the rules are constantly evolving. It's easy to understand why some merchants prefer to avoid challenging chargebacks altogether. This is never a good idea, however, for a variety of reasons. In a worse case scenario, ignoring chargebacks can be the downfall of your business. That’s why we created this guide as a primer to help merchants navigate the chargeback rules minefield. The detailed rules and regulations for Visa and Mastercard differ considerably from each other, and the other schemes take their cues from the leaders. Having said that, the chargeback process itself was essentially the same for all networks until 2018. 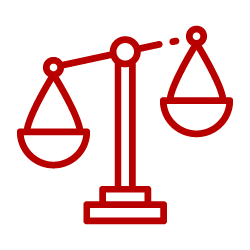 The new Visa Claims Resolution (VCR) initiative, however, created some key disparities in how Visa handles certain chargeback cases. Trying to map out all the variations in one post would make for cumbersome reading. For this article, we've chosen to take only a high-level look at the most common elements of the overall chargeback process. If you'd like more specifics on the recent Visa changes has made, check out this more in-depth article on VCR. This chart clearly shows that even without getting into specific differences between the card networks, the chargeback process is convoluted, with many parties involved and multiple variables. 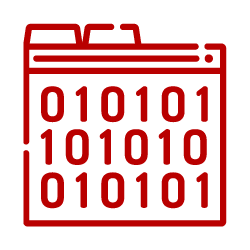 Every chargeback must be accompanied by a reason code indicating why the original transaction was disputed. While Visa moved to simplify and redefine their code structure, the reason codes of the other major schemes leave a lot of room for interpretation. It's impossible to fight chargebacks effectively when you don't know the true source. The codes offer at least a clue as to why the chargeback was filed. …and much, much more. You can get a better understanding of reason codes here. When merchants ask about chargeback rules, they most often want to know about time limits. 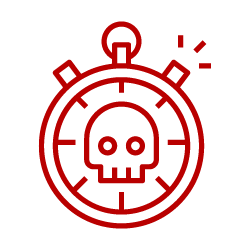 Missing deadlines is the one facet of these rules that consistently trips up the merchants. All parties must strictly adhere to the response windows set forth by the card networks. A merchant’s representment filing deadline is 45 days or less. An issuer’s pre-arbitration chargeback filing deadline is 45 days or less. Even within each card scheme's specific chargeback rules, there can be exceptions and conditions based on the specific reason code or phase of the case. 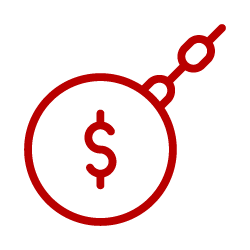 You can check out this article to learn more about time limits for chargebacks. Worried about chargeback time limits? Call the experts. According to chargeback rules, each transaction dispute also comes with a fee paid by the merchant. The amount of the fee, however, isn't set by the card schemes. 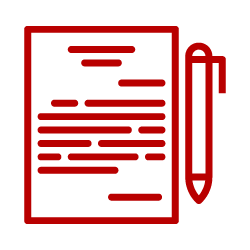 The acquiring bank has a voice in determining the charge, as does the processer. The type of goods or services a merchant offers can also affect the price tag, along with several other factors. The merchant processing agreement will outline all applicable chargeback fees; on average, you can expect to pay somewhere between $20 and $50 per chargeback. However, merchants labeled “high risk” may be charged much more, depending on the circumstance. Remember, the fees will apply even if a chargeback is successfully represented. You can see a more complete breakdown of chargeback fees here. Chargeback rules also incorporate chargeback ratios, or the percentage of chargebacks a merchant receives in relationship to total sales. 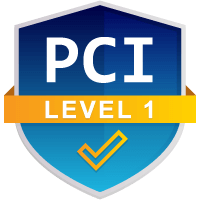 Merchants who breach these thresholds are subject to penalties from both the card network and the acquirer. Networks also reserve the option of requiring a merchant to enroll in a chargeback monitoring program and/or demanding a risk mitigation plan. The longer the merchant remains in the chargeback monitoring program, the more penalties the merchant will suffer. At their discretion, acquirers might allow merchants to attempt to reduce chargebacks. At the other extreme, the bank could simply terminate the processing agreement. Merchants who lose the ability to process credit card payments are placed on the MATCH list, which prohibits them from obtaining another traditional processing agreement for a minimum of five years. The only option available to MATCHed merchants is high risk payment processing, with its higher fee structures and harsher contract terms. While we call them "rules," the truth is the decisions in this process can be highly subjective. Each acquirer evaluates and addresses risk differently. Many don’t have hard and fast chargeback rules regarding what warrants an action taken against the account. As we keep saying, chargeback rules vary by card network. Visa regulations are now substantially different than most of the other networks, but all the schemes have online manuals that are updated twice a year (usually in April and October), with smaller changes being implemented continuously. It's essential for merchants to carefully study each network’s guidelines and regularly check them all for updates. Unfortunately, these massive documents are filled with complex industry jargon and assumed credit card experience...which makes reviewing them a tedious, time consuming, and confusing endeavor. 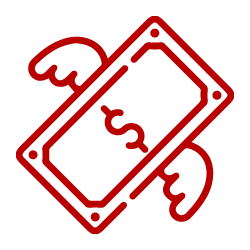 Card networks design their regulations to function as the final authority in transaction disputes. We cannot stress this enough: merchants must play by the rules or suffer the consequences. Cardholders are subject to chargeback rules too. But while merchants will be hard pressed to find any loopholes in their set of regulations, both consumers and fraudsters find ways to exploit the system and file illegitimate chargebacks. Chargeback rules are interpreted and enforced by humans, and as this subjective nature tends to favor consumers, merchants are almost blamed by default. Leveraging this unfair advantage, cardholders are either consciously or unknowingly committing friendly fraud. This explains why friendly fraud has emerged as such a serious threat in the past few years. Understanding applicable chargeback rules is just the beginning. 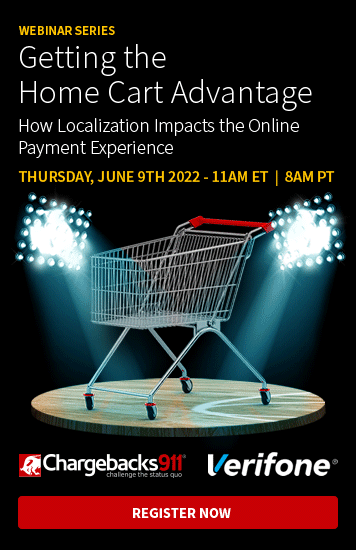 Merchants must also be able to implement them each time the business is confronted with a transaction dispute. All the evidence must be gathered and every step must be purposely taken. Anything less is just asking to fail. Tracking and implementing chargeback rules is possible, of course, but it typically requires staff and resources dedicated solely to that purpose. Even for merchants who do this, success is usually limited, at best. Even more frustrating, policies are constantly being updated. Once a merchant has an effective strategy in place, the card networks can change their expectations at any time. But looking beyond all of that, fighting chargebacks isn't the reason you went into business. 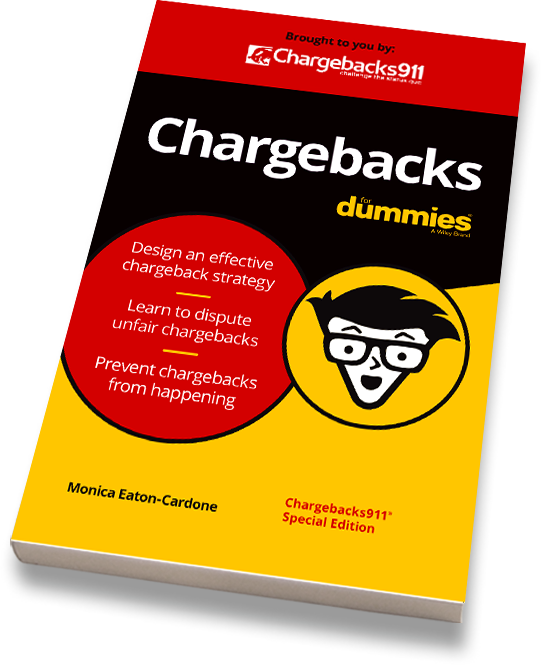 At Chargebacks911®, we understand chargeback rules and how and when to use them. That's how we can provide end-to-end solutions backed by the industry's only performance-based ROI guarantee. Contact us today for a free ROI analysis and find out how much more you could be earning by putting your chargeback management in the hands of the experts.